Taekwon-Do is a version of unarmed combat designed for the purpose of self-defence. It is more than just that, however; its discipline, technique and mental training are the basis for building a strong sense of justice, fortitude, humility and resolve. It also implies a way of thinking and life, particularly in instilling a concept and spirit of strict self-imposed discipline and an ideal of noble moral rearmament. Translated literally "Tae" stands for jumping or flying, to kick or smash with the foot. "Kwon" denotes the fist - chiefly to punch or destroy with the hand or fist. "Do" means an art or way or method. Taken collectively "Taekwon-Do" indicates the mental training and the techniques of unarmed combat for self-defence as well as health, involving the skilled application of punches, kicks, blocks and dodges with bare hands and feet to the rapid destruction of the moving opponent or opponents. Taekwon-Do enables the weak to possess a fine weapon together with confidence to defend him or herself and defeat the opponent as well. Of course, wrongly applied, Taekwon-Do can be a lethal weapon. Therefore mental training must always be stressed to prevent the student from misusing it. The hallmark of this system, which has been developed since 1945, is the combination of fast and slow, hard and soft movements, together with extensive footwork, whose roots stem from Okinawan Karate. These roots, combined with others, have over time been refined to the extent that they no longer resemble their original movements and have become totally unique in every way through the application of both Oriental philosophy and Newtonian physics. Join Taekwon-Do and learn self-defence and improve your self-confidence, fitness, and flexibility. Taekwon-Do is a Korean martial art that teaches self-defence through its five tenets: Courtesy, Integrity, Perseverance, Self-Control and Indomitable Spirit. Translated from Korean, Taekwon-Do essentially means the art of punching and kicking. Taekwon-Do is a great way to improve your fitness. We welcome people of all fitness levels and no prior knowledge of martial arts is required. It is, perhaps, a mistake to try and refer to TKD as a single martial art these days, but rather as a family of related arts with certain similarities and numerous differences. That way, you avoid getting dragged down into the doctrinal differences that beset any discussion between representatives of different groups. Ch’ang Hon is Korean for Blue Cottage, the pen-name of General Choi, and the name given to the system he developed. The International Taekwon-Do Federation (ITF) was formed in 1966 to promote and encourage the international growth of TKD. Its function was primarily to coordinate and approve tournaments and training seminars; to set standards for teaching; to collaborate with affiliated national organizations; and to issue rank and certifications. Due to political shenanigans, there are currently three organisations claiming to be the 'real' ITF, as well as a number of other organisations fulfilling a similar role both nationally and internationally. However, most of these practice more or less the same techniques and pattern set, with minor variations in some cases. Kukki is Korean for National Sport, and is the name given to the style developed after the split when General Choi moved the headquarters of ITF TKD to Canada in 1972. The style is headquartered at the Kukkiwon ("Academy/Institute of the National Sport") in South Korea, and supervised by the International Sports Division of the Ministry of Culture, Sports, and Tourism of the South Korean government. 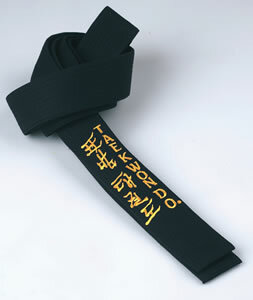 The Kukkiwon is solely responsible for issuing KKW black belt certificates, and is thus more unified than the Ch’ang Hon style, although there are other groups training in the style that are not members. 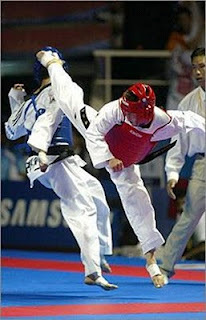 The World Taekwondo Federation (WTF) was formed in 1983 to replace the ITF after General Choi relocated to Canada, and fulfils a similar function with regard to the competative side of Kukki style TKD. 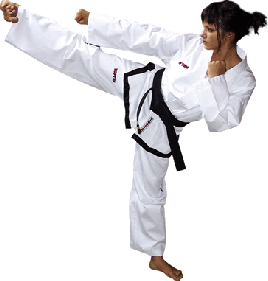 TKD is variously spelled Tae Kwon Do, Tae Kwon-Do, Taekwon-Do, or Taekwondo. You may even, if you're really lucky, get into a heated argument with someone over which is the 'right' spelling to use. The correct answer, of course, is that all you are arguing about is which westernised approximation of the Korean characters (태권도) you prefer. Pretty pointless, really, eh? 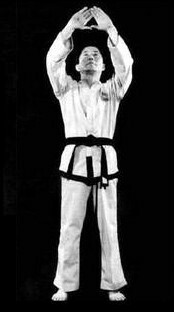 Tae Kwon Do is the original spelling, and is used by groups that stick more closely to the earlier style of TKD, e.g. those headed by GM Hee Il Cho & Jhoon Rhee. Tae Kwon-Do is a close variant used by the TAGB & organisations that branched off at around the same time in the early 1980's. Taekwon-Do is the current spelling in use by the ITF, and organisations that adhere closely to the more modern ITF style. Taekwondo is used by Kukkiwon to denote their style of TKD, and thus tends to be used by Kukki & WTF style groups regardless of affiliation. One of the biggest differences between schools regardless of affiliation is the split between those that adhere more closely to the traditional origins of the art, and those that focus on the more modern sporting aspects, i.e. tournaments. As a general rule, Ch’ang Hon style clubs tend more toward the former, while Kukki style clubs (and particularly WTF affiliated ones) tend more toward the latter. Having said that, there are Ch’ang Hon clubs that are much more sport & tournament oriented, and Kukki clubs with more focus on the traditional and self-defence aspects. The important thing is the focus of the particular school, club, or instructor, rather than the style.